After the failure of the enemy’s winter general offensive in spring 1944, the National Liberation War in Albania assumed fresh vigour. By March the initiative in military operations had passed into the hands of the partisan units and detachments. On April 5, the General Staff issued the order for the ANLA to go over from defence to strategic counter-offensive. The nazi occupation troops and the reactionary forces were again driven back to shelter in their barracks in the towns and in fortified centres along the main highways and the seacoast, under the constant menace of attacks by the ANLA fighters. The vigorous upsurge of the National Liberation War immeasurably deepened the crisis in the enemy ranks in Albania. Disintegration set in within the reactionary organizations and armed forces. By May 1944 the ANLA had grown to 35,000 fighters. It was strong enough to launch the general offensive for the liberation of the towns and the whole country. This prospect became still clearer as a consequence of the Red Army’s brilliant victories over the German army. In January 1944 the Soviet troops had begun a gigantic offensive on the Eastern Front. Advancing irresistibly westwards, in April they entered Rumania. The German troops in the Balkans were thus in danger of encirclement. Alarmed at this critical situation, the enemies left no stone unturned to find a way out and to change the situation in their favour. They had pinned great hopes on a new general offensive against the National Liberation Army. The Hitlerites had reckoned to start this attack in April. But this was not possible because the ANLA upset their calculations with its counter-offensive and because their efforts to recruit mercenaries were foiled by the people’s resistance. Albanian reaction, which would eventually be turned into a Greek-Turkish-Albanian military alliance. The Albanian people’s revolutionary war, however, nipped the attempts of the traitors in the bud. The attempts of the reactionaries to beguile the people through clamorous announcements of some measures of economic character, like the «agrarian reform» and the creation of a «society for the economic development of the country», suffered the same fate. These measures, the traitors promised, would liquidate the economic backwardness of the country which was, according to them, the cause of the great crisis in Albania! However, these beautiful promises could not deceive the Albanian people, who were already convinced that only by liberating the country and wiping out the traitors would they be able to realize their dreams and aspirations. It was at this time of profound crisis for the Albanian collaborators that the Anglo-American imperialist reaction came to their rescue. The Allied Mediterranean Command increased its aid in arms and other means to the reactionary forces of the Legaliteti, the Balli Kombëtar and the traitor tribal chieftains. The British military mission tried to persuade the ANLA General Staff not to move its forces towards Northern Albania, because that was the zone of action of the Legaliteti ! In London, the British government increased its efforts to set up an Albanian reactionary government in exile. foreign reaction, and to take the military and political measures necessary to ensure the complete liberation of the country and the triumph of the people’s revolution. In these concrete conditions, the Central Committee decided that the key move was to strengthen and legalize the power of the national liberation councils as the sole legal power of the Albanian people, and to set up the new Albanian state with its own democratic government and its own regular army. With this aim in view, it was decided to call the 1st Anti-fascist National Liberation Congress which would consider how to solve the political and military problems posed by the existing situation. The proposal of the Central Committee of the CPA for the convocation of the Congress was discussed and adopted at the meeting of the Presidium of the National Liberation General Council in April 1944. At the same time, in line with the directives of the Central Committee, the General Staff began to draft the plan for changing the whole National Liberation Army into a regular army, as well as the plan of strategic operations to liberate the entire Albanian territory from the German nazis and traitors. These major political and military problems were taken up at the meeting of the Plenum of the Central Committee of the CPA which was held on May 15, 1944 at Helmës of Skrapar. The Plenum approved the decisions of the leadership of the Central Committee and of the Presidium of the General Council on convening the 1st Anti-fascist Congress. The measures for the formation of a Provisional Democratic Government and turning the National Liberation Army into a regular army were considered timely. The Central Committee made a correct assessment of the dangers threatening the National Liberation War, national independence and the people’s revolution from the inimical activity of the British and American governments, reaffirmed its determination not to allow any of the allies to interfere in the internal political and military affairs of the Albanian people. might emerge in the future in the Party, in the army, or in the Front, the Plenum drew attention to two important problems concerning the line of the Party. It warned against any alteration of the party slogans, insisting that the national liberation character of the war should be preserved to the end. The task was set of popularizing still more the Communist Party's role of leadership, but always within the line of the National Liberation War. The Central Committee argued that the anti-fascist, anti-imperialist and democratic stage of the revolution had not ended and could not end until the complete liberation of the country and the establishment and consolidation of the people’s democratic power had been ensured. On the other hand, it instructed that any idea that, with the termination of the National Liberation War, everything would be over and that once the Germans had been driven out, the National Liberation Army fighters would lay down their arms and return to their homes, should be combated. The Plenum demanded that it should be made absolutely clear that the Albanian people would retain the arms in their hands even after the liberation of the country, in order to ensure their full freedom, to destroy any enemy, to defend the victories achieved and to develop them further. It instructed the Party to study carefully the new circumstances that would arise and to foresee what stands and measures would be required. The Plenum unanimously condemned Ymer Dishnica’s capitulation in Mukje and Gjin Marku’s compromise with the Germans in Berat. For these grave faults it removed both of them from the Central Committee of the CPA. The masses of the people enthusiastically welcomed the decision to hold the 1st Anti-fascist Congress. At meetings and gatherings, they expressed their allegiance to and love for the Communist Party, thanked the Party for its correct leadership and heroic struggle in defence of the interests of the Homeland, declared their readiness to fight to the end against the invaders and traitors, and supported the decision to convoke the Congress and to establish a provisional democratic government. On account of the war conditions, the election of delegates to the Congress took place by open ballot. Nevertheless, they were the first democratic elections in Albania. Women, too, took part in these elections, and this was the first time in the history of the country that they were given the right to elect and be elected to the various organs of political power. For the first time the representatives of the people were chosen not on the basis of their lineage and property, but on the basis of their merits in the war against the enemies of the Homeland and the people. The delegates to the Congress were the representatives of the masses of the insurgent people. The elections to the Congress demonstrated the political maturity and the high consciousness of the popular masses. They were another great test of the sound links of the Communist Party with the people. The Hitlerites and the reactionaries did their utmost to discover the place of the meeting so as to direct an armed assault against the Congress, but they failed completely. On their part, the Anglo-American imperialists exerted great pressure and employed every means in order to sabotage it. The British government described the holding of the 1st Anti-fascist Congress as «illegal» and ordered the head of the British military mission in Albania not to accept the invitation which the National Liberation General Council had extended to him to take part in the Congress in his capacity as a representative of the allies. Speaking in the House of Commons one day before the Congress was opened, Attlee, deputy prime-minister and later prime-minister of Great Britain, attributed the heroic war of the Albanian people under the leadership of the Communist Party mostly to the Legaliteti and the Balli Kombëtar organizations which were enemies to this war. The Communist Party which watched the evolution of the situation attentively and vigilantly, succeeded in foiling all the efforts of enemies while the Congress carried on its work successfully, according to plan. The 1st Anti-fascist National Liberation Congress of Albania was held from the 24th to 28th of May, 1944 in the liberated town of Përmet. The work of the Congress was pervaded by a profoundly revolutionary spirit and complete unity. The report «On the Prosecution of the National Liberation War of the Albanian People in Relation to the International Events», submitted by Comrade Enver Hoxha in the name of the National Liberation General Council, was vigorously discussed by the delegates, who gave their unanimous approval to all the proposals presented. The Congress elected the Anti-fascist National Liberation Council (ANLC) as the supreme legislative and executive body in Albania, as the representative of the sovereignty of the Albanian people and state. The Anti-fascist Council elected in Përmet was the first people’s assembly of Albania. The Congress charged the Anti-fascist Council with forming the Anti-fascist National Liberation Committee with the attributes of a provisional people’s democratic government. The Antifascist Committee, which was approved at the Congress, was the first people’s democratic government of Albania. The General Secretary of the CPA, Enver Hoxha, was elected President of this Committee. 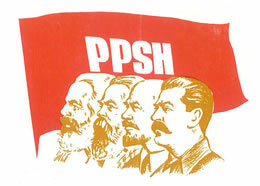 Establishing the supreme organs of the people’s power, the Congress of Përmet decided. «To build new people’s democratic Albania according to the will solemnly expressed today by the people through the Anti-fascist National Liberation Council»; to prevent former King Zog from returning to Albania; not to recognize any other government which might be set up within or outside the country against the will of the Albanian people; to continue the war against the German invaders and Albanian traitors more fiercely until they were utterly destroyed and the state power of people’s democracy had been established throughout the country. At its first meeting the Anti-fascist Council took a series of very important decisions, which were endorsed by the Congress and which constitute the first laws of the Albanian state of people’s democracy. Of particular importance was the revolutionary decision to annul all the political and economic agreements which the Zog government had concluded with foreign states and which were contrary to the interests of the Albanian people. The Anti-fascist Council set up a special state commission for the detection and identification of war criminals and the investigation of all the crimes committed by the invaders and the traitors. In close connection with the problems of setting up the people’s state power at a higher level, the Congress also took up and settled problems concerning the further consolidation and perfection of the National Liberation Army as the main weapon for the complete liberation of the country and the defence of the new state power. It was at this Congress that the unification of the high command of the National Liberation Army and the introduction of military ranks were decided on. Comrade Enver Hoxha was appointed Commander-in-chief. The Congress gave the instruction for the formation of divisions and army-corps. The General Command announced the formation of the 1st Shock Division. The Congress of Përmet expressed its gratitude to the Soviet Union and the Red Army led by J.V. Stalin, which by their heroic war had brought the liberation of Albania and other countries enslaved by the fascists nearer. It reaffirmed its allegiance to the great anti-fascist alliance and the friendship of the Albanian people with all the peoples taking part in this alliance. But unlike former congresses and conventions in Albania, the Congress of Përmet appealed to no one for aid in solving the problems and deciding the fate of Albania. On the contrary, it warned the imperialist powers that the time when Albania could be used as a medium of exchange was gone forever, and that the Albanian people would not tolerate any bargain struck at their expense. They themselves would decide their fate. The Congress of Përmet publicly denounced the attempts of the Anglo-American allies to interfere in the internal political and military affairs of Albania. The historic decisions of the Congress of Përmet were received with great joy and immediately embraced by the broad masses of the people. The efforts of the Communist Party of Albania to demolish the old anti-popular state power and to set up the people’s democratic state power in the heat of the National Liberation War were crowned with great success. The Conference of Peza laid the foundations of the new state power. The Conference of Labinot centralized it and proclaimed it the sole state power in Albania. The Congress of Përmet solved the problem of the political power in favour of the insurgent people. It founded the Albanian state of people’s democracy. The decisions of the Congress comprise the basis of the Constitution of this state. After this, the internal reactionaries were incapable of re-establishing the rule of the landlords and the bourgeoisie, either by their own forces or with the aid of the Hitlerite invaders. At the time of the Congress of Përmet, half of Albania was still under the control of the German nazi invaders and the traitors. In the occupied regions and towns the national liberation councils carried on their activity underground. In many zones there were no councils at all, but this was not the main thing. The main thing consisted in the fact that, following the Congress of Përmet in the liberated zones as well as in those not yet liberated, the Albanian people recognized only the Anti-fascist Committee as their government and obeyed its orders and the decisions of the Anti-fascist National Liberation Council. The ANLA protected the people’s democratic state power from the blows of the enemy and was in a situation, with its own forces and the powerful support of the insurgent people, to ensure the complete liberation of Albania and the establishment of this state power throughout the whole country in the very near future. The decisions of the 1st Anti-fascist Congress on the founding of the Albanian state of people’s democracy, on the formation of the Anti-fascist Council and the Provisional Democratic Government were not simple decrees. The new Albanian state and its supreme organs were the offspring of the revolutionary liberation war of the Albanian people under the leadership of the Communist Party. The power of the national liberation councils in Albania differed entirely from the old state power, both in form and substance. It had nothing in common with any sort of state power in the bourgeois parliamentary republics. As a type of political power, it resembled the Paris Commune and the Soviets. Nevertheless, it preserved its full originality, in conformity with the objective conditions of Albania and the circumstances of the National Liberation War of the Albanian people. In line with the decisions of the Congress of Përmet, the national liberation councils and the Anti-fascist Committee were charged with the task of giving the National Liberation Army all-round help for the complete liberation of the country; of ensuring the triumph of people’s democracy throughout Albania, ruling out any possibility of the restoration of the regime of Zog or another reactionary regime; of wiping out any remnants of fascism and the old methods of government; of organizing social life, the all-round transformation of the country, and the development of the national economy and culture. From its class composition and the tasks it accomplished the state power of the national liberation councils represented a democratic dictatorship of the revolutionary forces under the direct, sole leadership of the Communist Party. The solution of the problem of the people’s state power demonstrated that one of the strategic tasks of the Party had been accomplished. Nevertheless, this problem could not be considered as definitively solved so long as the other strategic task was not yet carried through — the complete liberation of Albania from the German invaders. The decisions of the Congress of Përmet were a heavy blow to the invaders, internal reaction and Anglo-American imperialist reaction. They were of major importance for throwing off the imperialist yoke and for the social emancipation of the Albanian people.